Endless beaches, cultural hotspots, affordable accommodation – Malaga is the Spanish destination that has something for everyone. Today, I’ll be talking about some of the best places to go in Malaga, as well as looking at the charm of the Costa del Sol overall. The Costa del Sol is a perennially popular holiday destination – and with good reason. Running along approximately 300 km of coast, it’s sheltered from winds by a mountain chain, creating a succession of calm, beautiful coves that are perfect for relaxation. The charm of the place goes beyond that, though; the landscapes here are really varied, also including mountain and valleys, and there’s plenty of authentic Spanish culture to discover. Plus, in the big cities and tourist resorts, there’s some seriously good nightlife too. The province of Malaga (home to the city of the same name, which I’ll talk about in a moment) sits on the Costa del Sol and embodies all of the above qualities. Below, you can find out about some of my favourite places within this province. And if you like the sound of them and fancy checking out the accommodation available, you can find good deals at Holiday Nights. First up is Malaga city – a culturally rich metropolis that’s famous for its historic buildings and associations with world-renowned artist Pablo Picasso. Indeed, Picasso was actually born here, with his work being influenced by the city in which he grew up. Malaga is therefore a good destination if you fancy a culture-filled break, with highlights including the wonderful Picasso Museum (which displays several works never before shown to the public) and the 16th-century Malaga Cathedral. An advantage of staying in Malaga is that if you fancy spending a little time on the beach, it’s really easy to do so, thanks to the city’s coastal location. The Blue Flag Las Acacias Beach is one of the best. Another good thing about Malaga (going back to the province now) is that it’s home to lots of family-friendly destinations. 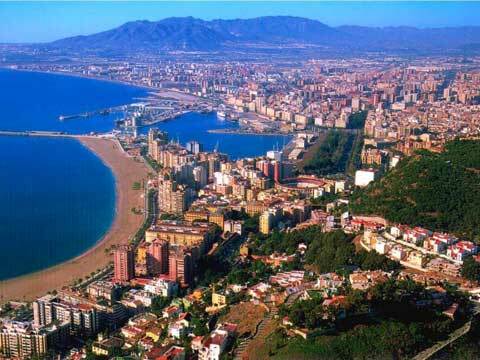 One example is Benalmadena, which has a fantastic mix of attractions for people of all ages. Let me show you what I mean. For the adults, there’s the lovely Benalmadena Pueblo (the old town), which is a charming spot for a stroll. Meanwhile, the whole family are bound to enjoy the beaches here, while children will be unable to resist attractions like Tivoli World theme park – which is full of fun rides – and Sea Life Benalmadena. The latter is home to roughly 2,000 creatures whose natural habitats include the Atlantic, Pacific and Indian oceans, as well as the Red Sea. One of the best things about coming here is that it has an underwater tunnel, which means you can walk among the marine life – children especially are bound to love the thrill of doing so. Another fabulous family-friendly destination is Torremolinos. Located quite near to Benalmadena and Malaga, this resort is another that combines beaches with a great mix of other attractions for the family. Let’s take a look at the beaches first. Staying with the example of family holiday, Carihuela is one of the best beaches to go, being safe and having lots of useful facilities close by. Bajondillo and Los Alamos are other beaches worth visiting on this stretch of the province’s coastline. In terms of tourist attractions, Torremolinos is, like Benalmadena, close to Tivoli World – in fact, it’s only 3 km north of Torremolinos. If you’ve got time to go here, I’d really recommend it, because there’s enough variety to keep you entertained for the whole day. As you’d expect, there are plenty of rides, but there are also things like flamenco dances, go-karting and more.